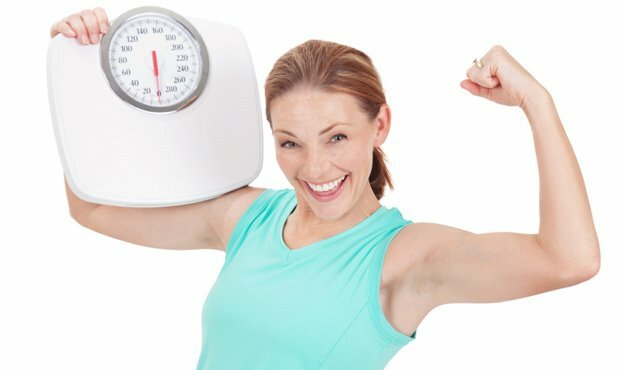 As a client or client affiliate of Weight Loss Medical Center, we would like to take this opportunity to both thank you for your business and to share with you the importance our organization places upon protecting the privacy of information we gather from you in accordance with applicable state and federal laws. An explanation of how client Medical Information is used by Weight Loss Medical Center and disclosed. The Weight Loss Medical Center site is intended for a United States audience. If you access this site from outside the U.S., you acknowledge, agree, and consent that any information you provide, including any personal information, will be transferred to and processed by a computer server located within the U.S., and subject to U.S. laws and regulations. Further, if you access this site from outside the U.S., you acknowledge and agree that you are responsible for compliance with any applicable local or national laws, rules or regulations applicable to such use. Weight Loss Medical Center uses reasonable measures to safeguard sensitive personally identifiable information, which measures are appropriate to the type of information maintained, and follows applicable laws regarding safeguarding any such information under our control. Weight Loss Medical Center cannot guarantee, however, that your information will remain secure. The Internet by its nature is a public forum, and Weight Loss Medical Center encourages you to use caution when disclosing information online. Weight Loss Medical Center respects the privacy of all those who visit our Website and use our online services and will endeavor to implement measures designed to protect the privacy of those using our services. Note, however, that we do collect and use information from visitors to our Website. We may use technology to track the patterns of behavior of visitors to our site. This can include using a “cookie” which would be stored on your browser. You can usually modify your browser to prevent this from happening. The information collected in this way can be used to identify you unless you modify your browser settings. If you have any questions/comments about privacy in this regard, you should contact us at the number and address listed below. 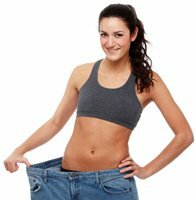 Weight Loss Medical Center will use much of the personally identifiable information that you provide primarily for the purposes for which it was collected. The personally identifiable information collected by Weight Loss Medical Center may also be used to improve the content of the Website and to better address the needs and interests of Website visitors. Weight Loss Medical Center may send its own e-mail solicitations to visitors who have not "opted out" of receiving such communications. The solicitations are limited in that they, among other things, will clearly indicate the originator of the e-mail and provide the customer with a method of "opting out" of receiving future communications of a similar nature. * Information we receive from you on our medical forms, general information forms or other forms relating to application amendments (this information may include, but is not limited to, your name, address, phone number, complete medical history, gender, height/weight, email address and age). Weight Loss Medical Center will use the non-personal information it collects in connection with your site usage for making changes or enhancements to the Website and to better address the needs and interests of Website visitors, as well as for other internal administrative purposes. We also may use data regarding site usage to determine which pages of the Website are most helpful to visitors and to improve the information available through such pages. Further, we may provide statistical information based non-personal information to advertisers, affiliates and other current and potential business partners. We may also use aggregate data to inform these third parties as to the number of people who have seen and clicked on links to their Websites. "Non-personal information" means information that does not permit us to specifically identify you by your full name or similar unique identifying information such as a social security number, member identification number, address or telephone number. The Company uses "cookie" technology and similar technology to gather non-personal information from our website visitors such as which pages are used and how often they are used, and to enable certain features on this website. Although Weight Loss Medical Center does not sell personally identifiable information about Website visitors to third parties, we may, in certain circumstances, share personally identifiable information with third parties. For example, Weight Loss Medical Center may use third party service providers to facilitate our services and provide operations for one or more aspects of the Weight Loss Medical Center Website. Such third party service providers may, in certain circumstances, require a visitor’s personal information in order to facilitate our services and provide such operations. For instance, Weight Loss Medical Center uses a third party service provider for processing certain credit card transactions. Any credit card information submitted by you to Weight Loss Medical Center, therefore, will be submitted to our credit card processing service provider. Like other Web publishers, Weight Loss Medical Center collects information to enhance your visit and deliver more individualized content and advertising. We respect your privacy. Aggregated Information (information that does not personally identify you) may be used by Weight Loss Medical Center in many ways. For example, we may combine information about your usage patterns with similar information obtained from other users to help enhance our site and services (e.g., to learn which pages are visited most or what features are most attractive). Aggregated Information may occasionally be shared with our advertisers and business partners. Again, this information does not include any Personally Identifiable Information about you or allow anyone to identify you individually. Personally Identifiable Information collected by Weight Loss Medical Center may also be used for other purposes, including but not limited to site administration, troubleshooting, processing of e-commerce transactions, and other communications with you. Certain third parties who provide technical support for the operation of our site (our web hosting services, for example) may access such information. We will use your information only as permitted by law. In addition, from time to time as we continue to develop our business, we may sell, buy, merge or partner with other companies or businesses. In such transactions, user information may be among the transferred assets. We may also disclose your information in response to a court order, at other times when we believe we are reasonably required to do so by law, in connection with the collection of amounts you may owe to us, and/or to law enforcement authorities whenever we deem it appropriate or necessary. Please note we may not provide you with notice prior to disclosure in such cases. Weight Loss Medical Center expects its partners, advertisers and affiliates to respect the privacy of our users. Be aware, however, that third parties, including our partners, advertisers, affiliates and other content providers accessible through our site, may have their own privacy and data collection policies and practices. For example, during your visit to our site you may link to, or view as part of a frame on a Weight Loss Medical Center page, certain content that is actually created or hosted by a third party. Also, through Weight Loss Medical Center and its sites, you may be introduced to, or be able to access, information, web sites or features offered by other parties. Weight Loss Medical Center is not responsible for the actions or policies of such third parties. You should check the applicable privacy policies of those third parties when providing information on a feature or page operated by a third party. Weight Loss Medical Center does not knowingly collect or solicit Personally Identifiable Information from or about children under 13. If we discover we have received any information from a child under 13 in violation of this policy, we will delete that information immediately. Please be mindful that parents and caregivers play an important role in monitoring their children’s use of technology. Teach chidren never to give personal information (name, address, phone, school, whereabouts), unless supervised by a parent or responsible adult. Know the sites your kids are visiting and which sites are appropriate. Weight Loss Medical Center sites are G-rated. Not all web publishers can say the same. However, Weight Loss Medical Center sites are not aimed at children, and it is likely that many of our sites are not of interest to children. 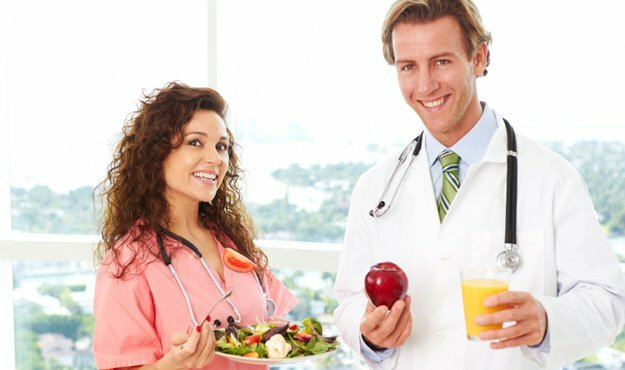 This notice describes the practices of the Weight Loss Medical Center and that of any physician with staff privileges with respect to your protected health information created while you are a client of Weight Loss Medical Center. Weight Loss Medical Center physicians with staff privileges and personnel authorized to have access to your medical chart are subject to this notice. In addition, Weight Loss Medical Center and physicians with staff privileges may share medical information with each other for treatment, payment or healthcare operations described in this notice. We create a record of the care and services you receive at Weight Loss Medical Center. We understand that medical information about you and your health is personal. We are committed to protecting medical information about you. This notice applies to all of the records of your care within Weight Loss Medical Center. Inspect and request a copy of your health record as provided by law. Request communications of your health information by alternative means or at alternative locations. We will accommodate reasonable requests. Request a restriction on certain uses and disclosures of your information for treatment, payment, healthcare products and as to disclosures permitted to persons, including family members involved with your care and as provided by law. However, we are not required by law to agree to a requested restriction. Request that we amend your health record as provided by law. We will notify you if we are unable to grant your request to amend your health record. Obtain an accounting of certain disclosures of your health information as provided by law. Download a copy of this notice of information practices at the top of this page. Provide you with a notice as to our legal duties and privacy practices with respect to information we maintain about you. Notify you if we are unable to agree to a requested restriction on certain uses and disclosures. We reserve the right to change our practices and to make the new provisions effective for all protected health information we maintain, including information created or received before the change. Should our information practices change we are not required to notify you, but we will have the revised notice available for you to review at any Weight Loss Medical Center site. We will not use or disclose your health information without your written authorization, except as described in this notice or permitted by law. TREATMENT: For example, we may disclose medical information about you to doctors, nurses, technicians, clinical associates or other personnel who are involved in serving you within Weight Loss Medical Center. We may share medical information about you in order to coordinate different treatments, such as prescriptions. We may also provide your physician or a subsequent healthcare provider with copies of various reports to assist in treating you, if necessary, once you receive clinical support from Weight Loss Medical Center. PAYMENT: For example, a bill may be sent to you or a third-party payer. The information on or accompanying the bill may include information that identifies you, as well as your diagnosis, procedures and supplies or products used. BUSINESS ASSOCIATES: There are some services provided in our organization through contacts with business associates. Examples include certain laboratory tests and copy services. To protect your health information, however, we require business associates to take the appropriate measures to safeguard your information. COMMUNICATIONS FOR TREATMENT AND HEALTHCARE OPERATIONS: We may contact you to provide health related reminders or information about treatment or other health-related benefits and services that either concern you or that may be of interest to you. 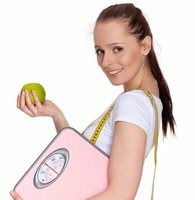 MARKETING: We may contact you to provide information about treatment alternatives or other health-related benefits, goods and services provided by Weight Loss Medical Center that may be of interest to you. FOOD AND DRUG ADMINISTRATION (FDA): We may disclose to the FDA health information relative to adverse events with respect to food, medications, devices, supplements, product and product defects or post marketing surveillance information to enable product recalls, repairs or replacement. HEALTH OVERSIGHT ACTIVITIES: We may disclose your health information to a health oversight agency for activities authorized by law. These oversight activities might include audits, investigations, inspections and licensure. These activities are necessary for the government to monitor the healthcare system, government benefit programs and compliance with civil rights laws. JUDICIAL, ADMINISTRATIVE AND LAW ENFORCEMENT PURPOSES: Consistent with applicable law, we may disclose health information about you for judicial, administrative and law enforcement purposes. This may include disclosures to avert a serious threat to your or a third party’s health or safety as well as victims of crime or criminal conduct at the Covered Entity. TO AVERT A SERIOUS THREAT TO HEALTH OR SAFETY: We may use and disclose your health information when we believe it is necessary to prevent a serious threat to your health and safety or the health and safety of the public or another person. Any disclosure, however, would only be to someone able to help prevent or lessen the threat or to law enforcement authorities in particular circumstances. REQUIRED OR ALLOWED BY LAW: We will disclose medical information about you when required or allowed to do so by federal, state or local law. OTHER USES OF YOUR HEALTH INFORMATION: Other uses and disclosures of medical information not covered by this notice or the laws that apply to us will be made only with your written permission. If you give us permission to use or disclose your medical information, you may cancel that permission, in writing, at any time. If you cancel your permission, we will no longer use or disclose medical information about you for the reasons covered by your written authorization. We are unable to take back any disclosures we have already made with your permission. If you have questions regarding your privacy rights and would like additional information, you may email the Weight Loss Medical Center Privacy Coordinator at [email protected]. If you believe your privacy rights have been violated, you may file a written complaint with the Weight Loss Medical Center Privacy Coordinator, Attn: Privacy Coordinator, Weight Loss Medical Center, 2800 W. State Road 84, Suite 115, Fort Lauderdale, FL 33312, or with the Secretary of Health and Human Services. You may also fax our Privacy Coordinator at: (954) 587-4441. There will be no retaliation for filing a complaint.